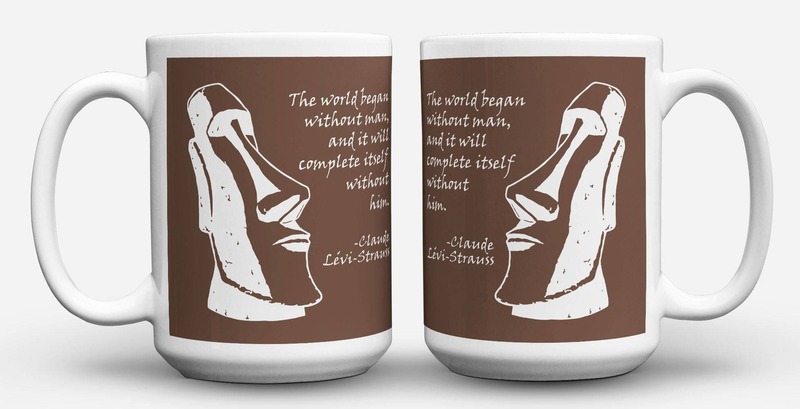 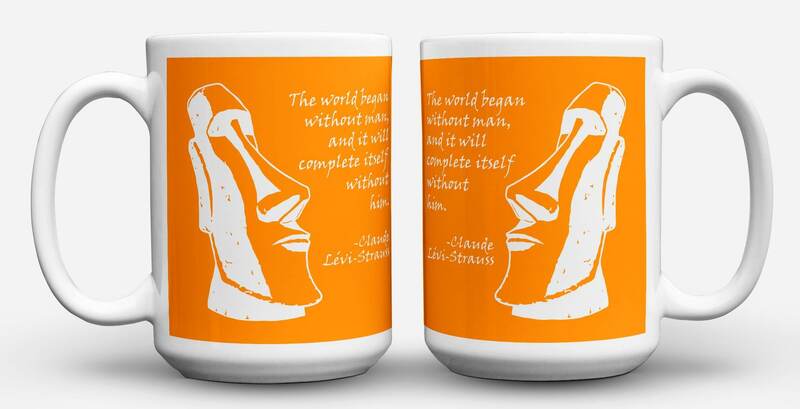 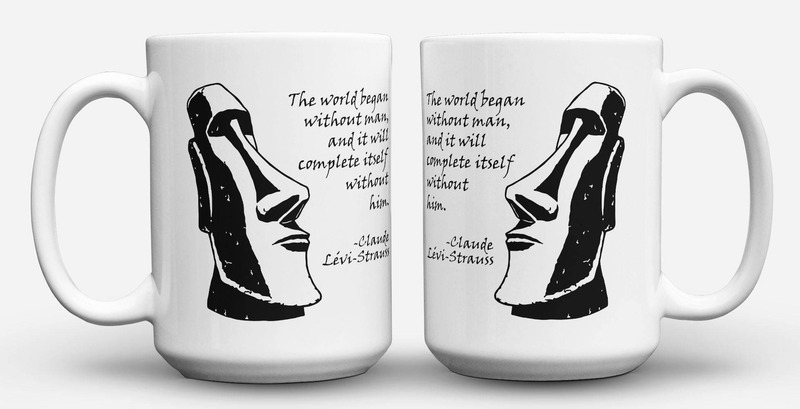 A shockingly profound quote by the "father of modern anthropology", Lévi-Strauss. 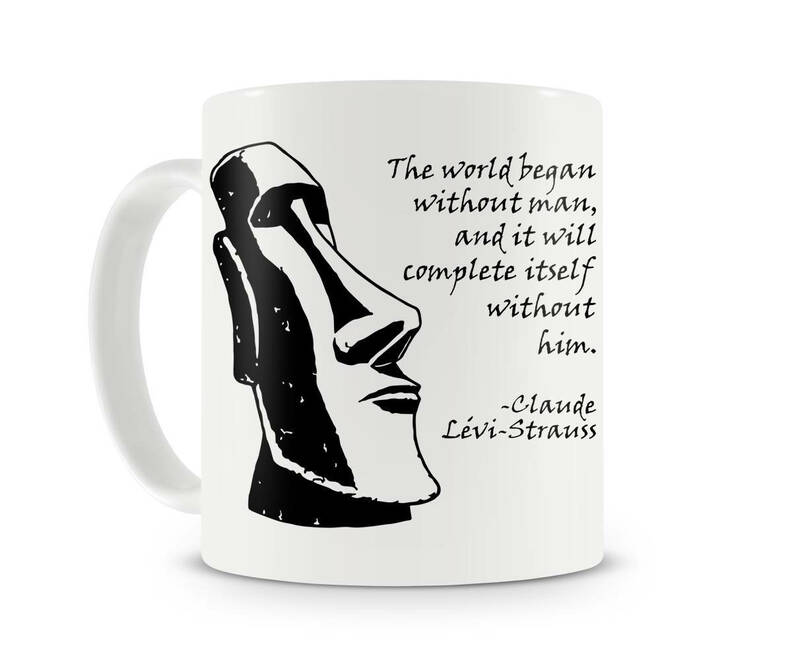 His quote completes with a Moai, the famous giant rock statues at the Easter Island. This mug would make a perfect graduation or teachers gift.